April Fools’ offer – one day only! We’re celebrating April Fools’ Day with great savings – no joke. Book any seat at any Festival Theatre performance in May for just $39 – no joke! Pay the same low rate for all seating zones, even on opening nights. This offer is only available on April 1, 2013, so mark your calendars! If you’re a Facebook fan, book through Stratford Social Ticketing on the Festival’s Facebook page – or book through our website! Want more from your theatre experience? Check out The Forum for concerts, workshops, talks and more, all inspired by the themes of our season. If you’re coming from the GTA, try our new Stratford Direct Bus service for just $20 round trip. *Offer not available on previously purchased tickets or in conjunction with any other offer. Promotion NOT available by phone. Promotion starts on April 1 at 12:01 a.m. and ends on April 1 at 11:59 p.m. 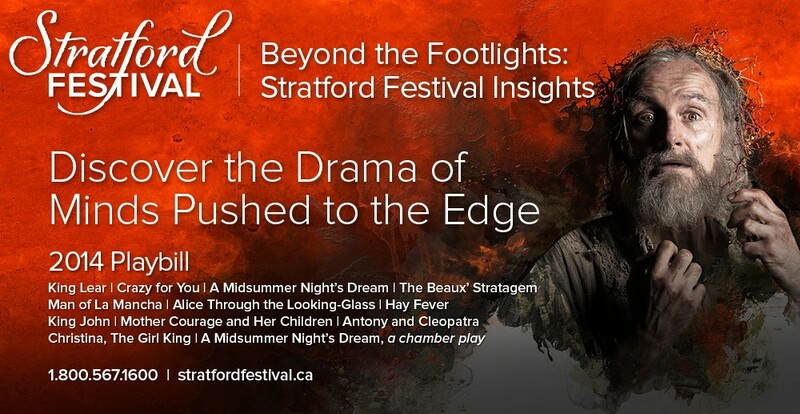 This entry was posted in 2013 Season and tagged Anita Gaffney, Antoni Cimolino, Antoni Cimolino April Fools', Antoni Cimolino Artistic Director, Fiddler on the Roof, Fiddler on the Roof Stratford Festival, Romeo and Juliet, Romeo and Juliet Stratford Festival, Stratford Festival April Fools, Stratford Festival April Fools' Promo, Stratford Festival promo, Stratford Festival promotions, The Three Musketeers, The Three Musketeers Stratford Festival by Stratford Festival. Bookmark the permalink.